When I lifted the first few pages of the Gunslinger, I didn't realize that will be the start of a new addiction. Yes, I talked about Roland Deschain, Dean, Jake and Susanna as if they were acquaintances, not really giving much thought that they are fictional and just a by-product of Stephen King's brilliant mind. 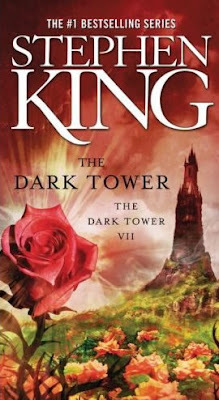 I will probably never get over the Dark Tower series, not even after it's been long and forgotten. Even if the ending was not the ending I expected, I still love everything about it. I miss the ka-tet and Oy. Even the Crimsong King.